Our games are powerful metaphors for what happens in the workplace. They are fun, mostly competitive, have rules and winners. As children we learn best through playing games and as adults they are just as effective. 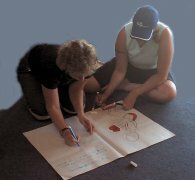 Our many experiential training games are now available for you to use in a variety of games and exercise packs. Exercises are non competitive learning activities that lead participants to a desired outcome. Like games they are fun, active and effective learning tools. 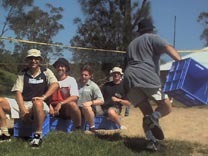 Unlike games, there are no set rules and many of them can be played alone. Games and exercises used in conjunction with each other form a very powerful learning combination. Our experiential exercises are now available for you to use in a variety of games and exercise packs. For ordering information, see the WorldGAMES online store home page. Read our Tips for Using Experiential Training Games. WorldGAMES documents are provided in Adobe PDF format. Adobe’s free Reader software allows you to view/download these documents.